On the corner of West 22nd Street and 8th Avenue stands a glassed-in, square loft space with white walls and cement floors. A small table and chairs populate one corner, where two young women dressed in all-black lean towards each other (or just towards their laptops?) in their digital art universe. The atmosphere is exceptionally private and would be a tad too serious if it wasn’t for the tiny dog twirling under their feet and their casual chatter and mouse-clicking. 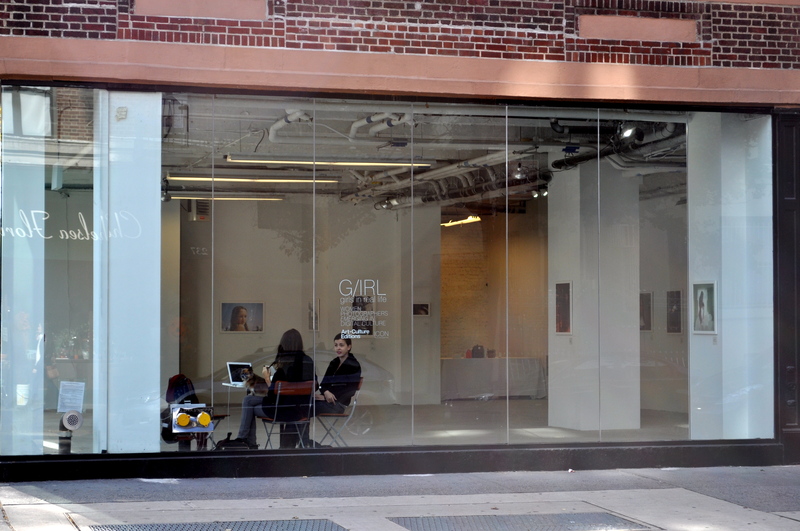 This was the setting for the pop-up Chelsea exhibition, G/IRL: Women Photographers Emerging in Digital Culture, which ran from October 28 through November 2. But that won’t stop you from seeing what the curators wanted you to see: the minimalist space was but a small part of the show, and much of the action is online at an ongoing virtual sales gallery at Art + Culture Editions. A fitting setup, considering that the show’s purpose is to brings together Flickr “phenoms,” teen prodigies, and established photographers who use social media sites, allowing them to explore and establish a life in photography. “G/IRL highlights the value – and pitfalls – of using social media tools to gain recognition,” the curators explain, “and juxtaposes the landscape of social media, a world in which we promote what we love, with the critical context of New York’s Chelsea art scene.” G/IRL, in case you wondered, stands for Girls in Real Life, as opposed to online. The digital aspect means that unlike many other art forms, these pieces can be experienced from the privacy of your own home or office or coffee shop chair without you feeling that you’re not doing the artists justice by skipping the “live” presentation. The web is one of their primary media and the official home of their works. Icelandic photographer Rebekka Guðleifsdóttir lured me in with the “Bubble Bath.” The shot is seductive yet playful, and though it feels like a very private moment, you sense you’re not the only witness to the scene. “I actually think it’s a self-portrait,” Francesca Wilson, Vice President of Business Development at Art + Culture Editions, told me. “She’s not only super talented, but also gorgeous.” Rebekka skyrocket to fame on Flickr – but got burned as she rose: not long after The Wall Street Journal (2006) named her the Web’s Most Popular Photographer, she learned that her images had been stolen from Flickr and sold on Ebay under a fake name for nearly $5,000. Rebekka Guðleifsdóttir, “Bubble Bath,” 2010. I also loved the contrast of architectural stillness and organic movement in this piece. Rachel Hulin, “Gold Bridge,” 2010. And if you wonder about the handpicking of two faceless women, here’s the scoop: only a small handful of the photos show the subjects’ faces clearly: they include Rebekka’s “Icelandic Barbie,” another Pauline Beaudemont’s “17,” and Emily Wilson’s “Lily, Portrait.” Pair that fact with the show’s fairly haunting aura, and you wonder: Are children and pop “icons” the only females that dare show their faces in our mediated world? Food for thought. Impressively, some of the photographers in the show are as young as 16 (Olivia Bee (Olivia Bolles)) and 17 (Lauren Withrow) – aspiring camerawomen discovered online and given the opportunity to showcase their talent in a critical context very different from the social media pages frequented by their peers. Art + Culture Editions (http://aceditions.com) is a brand new e-commerce platform dedicated to bringing affordable art to collectors worldwide. Artwork from top institutions and world-renowned artists along with emerging talent can be found all on one platform. 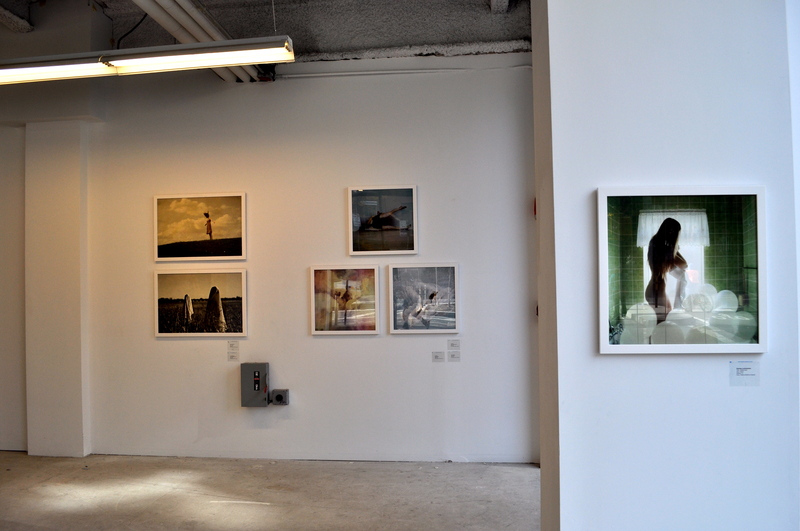 ACE artists include Nick Cave, David Levinthal, Alexis Rockman, Clare Rojas and many more.